The winter has finally arrived with snow. No matter how much you like a snowfall and how beautiful it looks. It is a pain when you have snow on your sidewalk, and driveway and you are getting late for work. It is a nuisance and unfortunately it is a part of life for people who lives in Calgary. 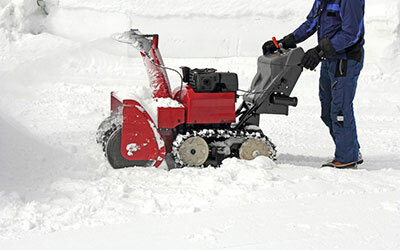 When it snows outside, many homeowners use shovels and snow blowers to remove it from their driveway. But it may not a good solution to remove snow from your property. It is just a good way to get temporary results. Wet and heavy snow is very difficult to eliminate and sometimes it is dangerous to move with shovels. It may seem a very easy job, but in reality it is very hard. In order to protect yourself and your property from some damages, it is good to hire a snow removal professional in Calgary. Make sure you ask a few important questions before hiring a professional. Are they certified, insured and bonded: You Cannot invite anyone to perform work on your residential or commercial property unless the company insured, certified and bonded. You can ask to the technician for proof of insurance. Taking some of your precious time to find the reliable company will provide you top notch services. What is the cost: The cost of snow removal services vary with the market conditions of a particular area and current fuel costs. If you live in the area where you experience a certain amount of snow, you will be able to lock in a fixed price because in particular area companies will expect a huge amount of fees. What services do you provide: Services that companies provide you are depending on the weather condition. Some services are at the ready to lay down salt and other deicers. If you have heavy or wet snow on the driveway and it seems difficult to be handled with deicing, the company will use another way to remove it. What is your emergency response plan:If you are running a business and you have heavy snow in front of your business, it is a good idea to ask a snow removal company about the emergency response time to keep the entry and exit ways clear. Make sure the company has required equipment to service you in a timely manner. Before you make a decision of hiring a snow removal company, do some research. You can go on the company’s website and check reviews on Yelp. Once you choose the company make sure you ask some important questions to the representative of the agency. If you have any question, don’t hesitate to contact us at Gorilla Contracting Inc. in Calgary.